Jaffa, the oldest neighborhood of Tel-Aviv, has inspired Los Angeles’ new modern Israeli restaurant Jaffa. 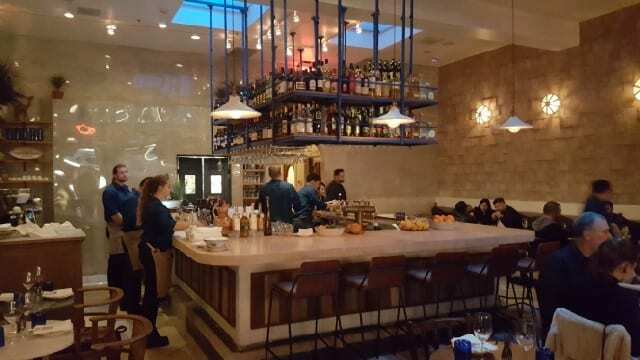 Located on West 3rd Street in West Hollywood, Jaffa LA is a bright space that includes stone walls and reclaimed wood, serving up modern Israeli cuisine. Chef Anne Conness, who’s nuevo rancho cuisine I first tried at her El Segundo restaurant Sausal, fell in love with the cuisine of Israel after traveling there with business partner Nancy Vrankovic. 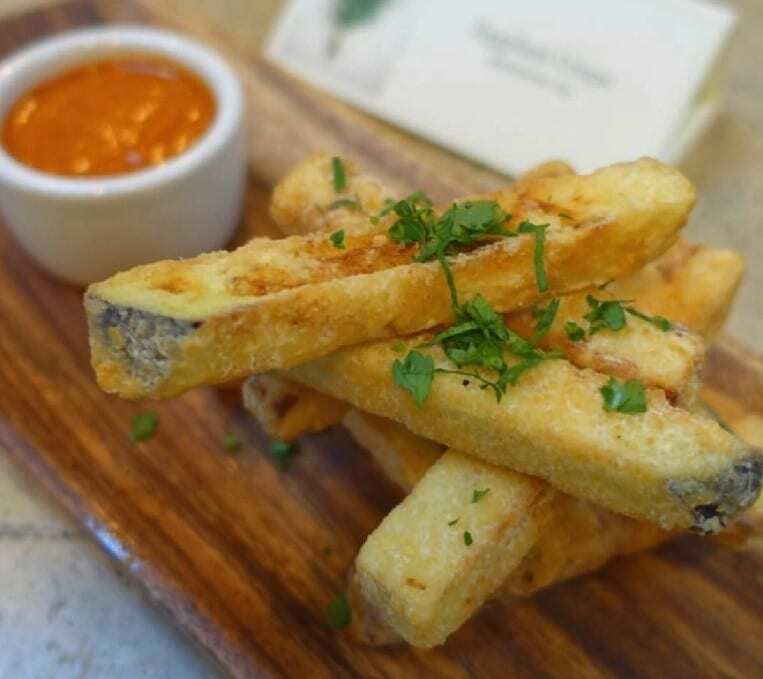 At Jaffa LA, Chef Conness has taken the modern Israeli cuisine that she fell in love with and combined it with locally grown, fresh and seasonal ingredients, well-raised meat and sustainable seafood. If you want to see how the people live in a city, a market is the perfect place. And, the open-air food markets in Israel, also called “Shuk” in Hebrew and “Souk” in Arabic, are the ideal places to get a glimpse into Israeli life. From fresh produce and other items, they demonstrate the diversity of ethnic cuisines that influence Israel – Sephardic, with Turkish, Moroccan, Yemenite and Persian roots, and Ashkenazi, with origins in Eastern Europe and Russia, as well as Palestinian territories, Iraq and more. 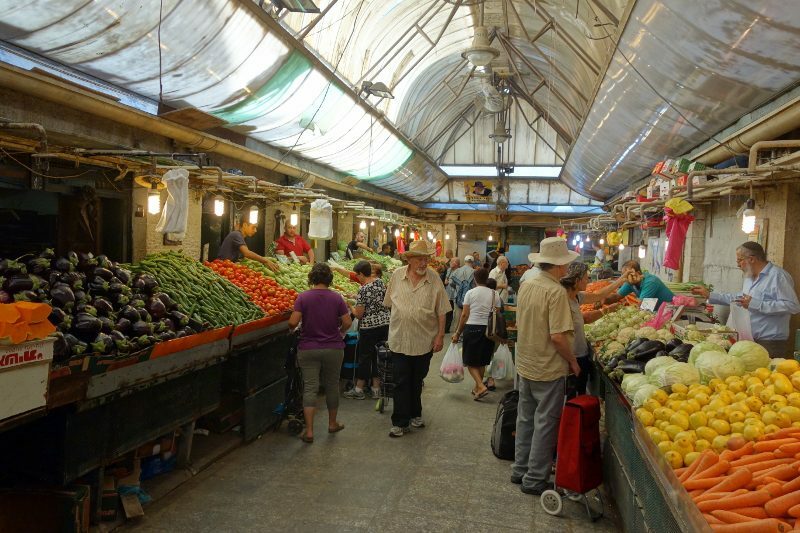 The Machane Yehuda Market in Jerusalem is one of the most famous markets in Israel. While almost all of the shop owners today are Jewish, the market was started in the 19th century by Sephardic Jews and Arab merchants who sold fruits and vegetables. There are more than 250 vendors selling fresh fruits, vegetables, baked goods, fish, meat, cheese, nuts, seeds, spices, wines, liquors, clothing, shoes, housewares, textiles and Judaica. Basically anything and everything you could want or need is available. Within the market, there are even dedicated sections– such as the Iraqi Market and Georgian Market. From colorful fruits and vegetables to bins of spices, it is possible to spend hour after hour wandering through the market. Vendors will call out and invite you to check out their items. Interspersed are restaurants serving traditional items like falafel, shawarma, kibbeh, kebab, shashik, kanafeh, baklava, halva, zalabiy and more. It is a foodie’s paradise. And, the best way to explore the market is on a self-guided tour with a “Shuk Bites” ticket. For 99 shekels ($25 US), you are given a map and route through the market with vouchers for six stops. After a night exploring the cocktail scene in Jerusalem, the freshly squeezed juices at Uzi Eli were a perfect first stop. Owned by Yemen-born Uzi-Eli, a third generation healer, he makes drinks that are both refreshing and medicinal. After sampling a few juices, we opted for The Rambam’s drink, a mixture of dates and bitter and sweet almonds and a juice of pomegranate, cayenne and apple. Morduch is an Iraqi/Kurdish restaurant. With fresh Middle Eastern dishes simmering in pots and women sitting in the back wrapping grape leaves, we tried an Iraqi Kubeh (dumplings stuffed with spiced ground beef), as well as Moroccan cigars (spiced ground beef rolled up in phyllo sheets) and a falafel. Josef Burger is a burger joint that could be in any city in the US. However, the meat for the burgers comes from the shuk and is ground onsite. And for the vegetarians, there is a satisfying Portobello burger. This was not one of the stops on the tour but we wandered in as we were heading to another stop. Owner Hay Aricha serves sabich, a national dish from Iraq. Sabich contains fried eggplant, hard boiled eggs that have been slow-cooked for five hours until they turn brown, hummus and tahini. This delicious sandwich may give the falafel a run for its money. Hachapuri is an authentic Georgian Bakery that was started by Tango Sharvit, a Georgian Jew who left his job as an electrician to make the food of his childhood. One of these dishes is the Imaruly, a pita stuffed with a melted cheese. Very similar to a quesadilla but the pita was oozing with salty cheese. Located in the Iraqi Market, Wahad Falafel serves Sambousek, a Middle Eastern version of Latin American empanadas. A crispy pita filled with hummus, there was a local woman who spoke English who recommended that we add tomatoes and fried onions. After learning how to make ice cream in France, Orit and her husband opened Mousseline. Using only fresh fruit from the market, Mousseline offers unique flavors of ice cream and sorbet. We opted for three flavors – coffee, sage and chai masala. 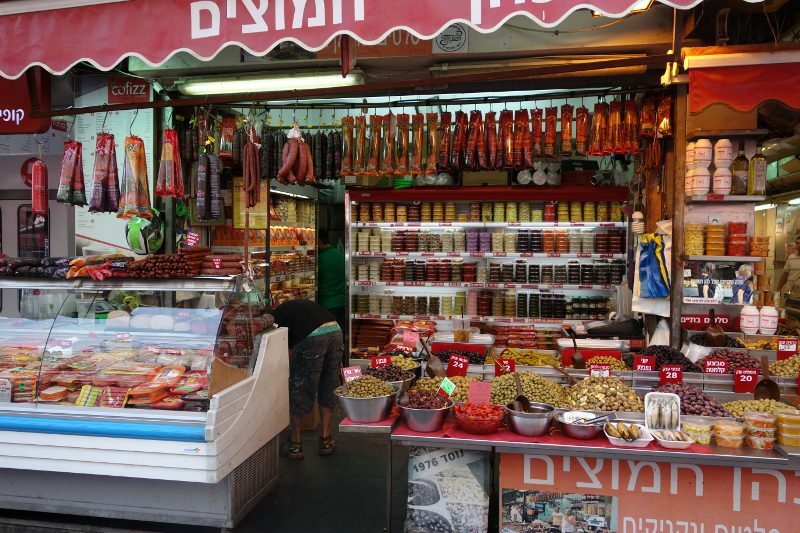 Machane Yehuda Market is a hub for Israel’s ethnic cuisines. Spending the day wandering through the market offers a real sense of the people and the city. It is an exploration for the senses and is a great place for inspiration.